Adam Kimble is a Tahoe City resident originally from the suburbs of Chicago, IL. A former Division-1 collegiate baseball player and non-runner, Adam began distance running in 2011. A few short years later in 2014, he ran his first 50k. In 2015, Adam won and set the course record for the 4Deserts Gobi March 250k, an international ultramarathon with competitors from over 40 countries. Since then, Adam has been on a mission to push himself and others past the impossible in their lives. In 2016, he ran 2,500 miles on foot across the USA in 60 days. 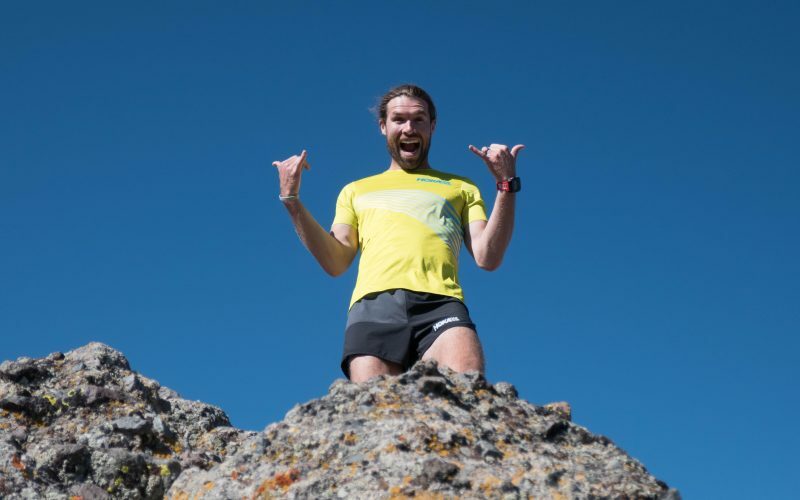 In 2017, he ran 1,050 miles self-supported across Great Britain to become part of the first duo to run the length of Scotland, England and Wales, while summiting the highest peak in each country along the way. When Adam isn’t racing or coaching athletes, he can most likely be found at one of his motivational speaking engagements. With a background in event directing, Adam also works and volunteers at various local events around Lake Tahoe. Adam holds a USATF Level 1 coaching certification.